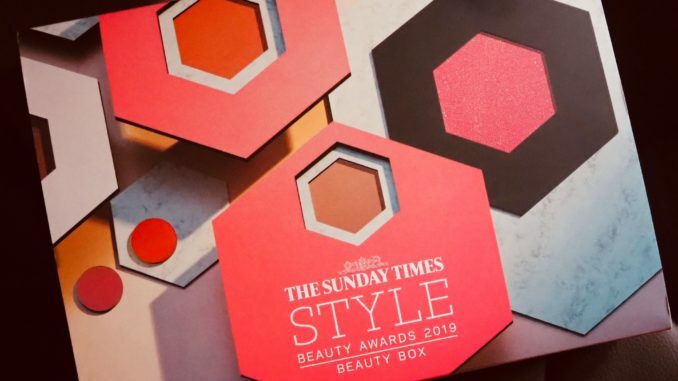 Exciting times for beauty explorers as Latest in Beauty have launched a collaborative beauty box with The Sunday Times Style Awards. Choose six favourites from these 49 products which have all been shortlisted for the 2019 Style Beauty Awards. Brands to choose from include Living Proof, NARS, Paula’s Choice, REN, Benefit Cosmetics, St Tropez, Aromatherapy Associates, OPI, No7, Caudalie, Elizabeth Arden, Aveda, Elemis and many more. 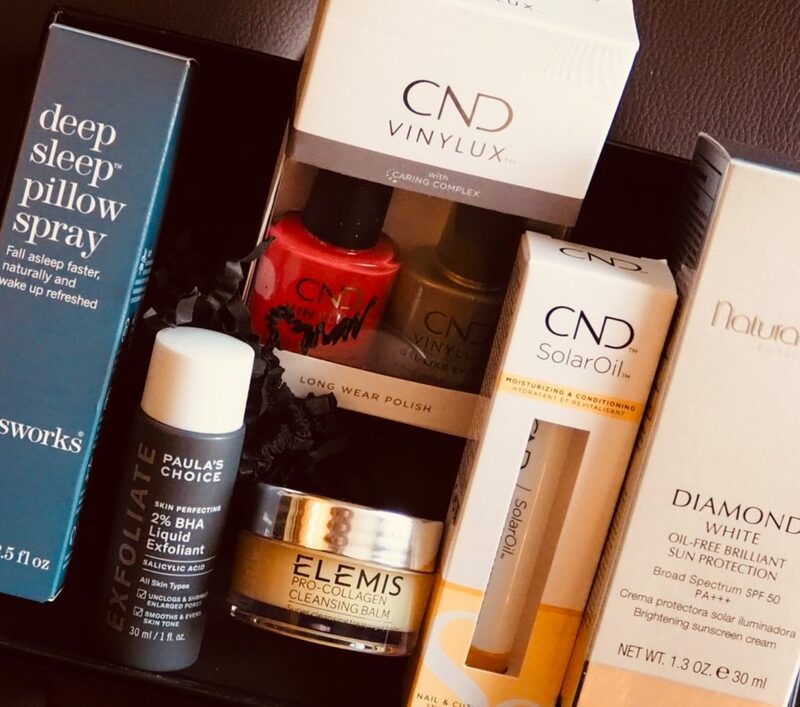 Your choice of product makes up your own personalised beauty box, which retails at £30 (postage is free to LiB subscribers, £3.95 to everybody else). 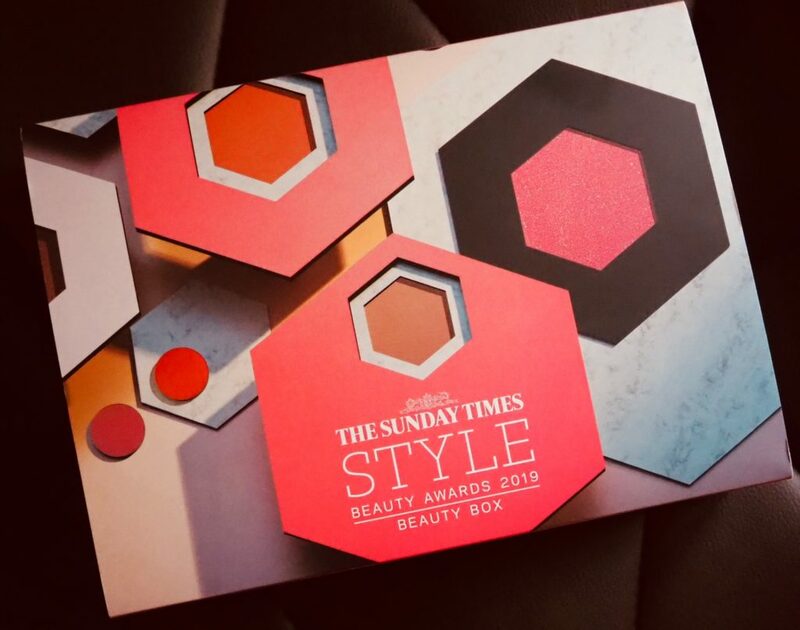 Once you’ve tried out your products, you can then vote for your favourites at thesundaytimes.co.uk/stylebeautyawards. Voting also enters you into a prize draw with lots of ace prizes including a holiday to the Maldives. Diamond White Oil-Free Brilliant Sun Protection SPF50 – Love a facial sunscreen. This is a full size product that retails at £92. I’m kind of boggling at that. ThisWorks Deep Sleep Pillow Spray – another full size product. I’ve had a tester of this before and it’s a lovely sleep aid. A gift for the sorely-missed daughter who has been spirited away to university. CND Solar Oil Care Pen – again, this is full sized and gives TLC to your cuticles. CND Duo Nail Set: Vinylux Weekly Polish – Tropix & Gel-Like Effect Top Coat – I went for this because I’ve used CND polish before and it really does last well. This polish is in a beautiful pinky coral red, great for summer. Paula’s Choice Skin Perfecting 2% BHA Liquid Exfoliant – Never used any Paula’s Choice before, although I hear great things about it. This is a small 30ml travel size so just enough to see how it performs. Elemis Pro-Collagen Cleansing Balm – I’ve bought Elemis as gifts for other people but this will be the first time I’ve tried it out myself. The 20ml sample size is good for summer travel (fingers crossed I win that holiday to the Maldives). Some of the products I chose are now out of stock. You have to move fast if you’re interested in this beauty box because it’s selling out quickly, though there are still plenty of goodies left. I ended up with nearly £154 of value for a £30 spend, good result. Obviously the value of your box will vary depending on what you choose. Latest in Beauty also have a special offer running from now until the end of December 2019 – Get £5 off your first 6 product Beauty Enthusiast Box by using code LIB5OFFBYOB That gets you 6 products for only £10. *Bought with my own money. Contains affiliate links.